Toronto instrumental group Fresh Snow are known for their ability to shift seamlessly between genres in the span of a single song. The four-piece's mix of industrial noise rock, dissonant melodies and icy-cool electronic elements has garnered them a dedicated following, as has their unpredictability — it's hard to guess what Fresh Snow will do next. Back in February, we took the experimental musicians to Cooper Cole Gallery in Toronto, where the band performed "Your Thirst For Magic Has Been Quenched By Death!" from their debut album, I, as well as a cut from 2015's Won, the Carmen Elle-assisted "Proper Burial." As different as the two songs are, both are as chilling as they are rocking, with the band members basked in dark blue light and fog rising in large clouds. Fresh Snow are expected to release a new album August. 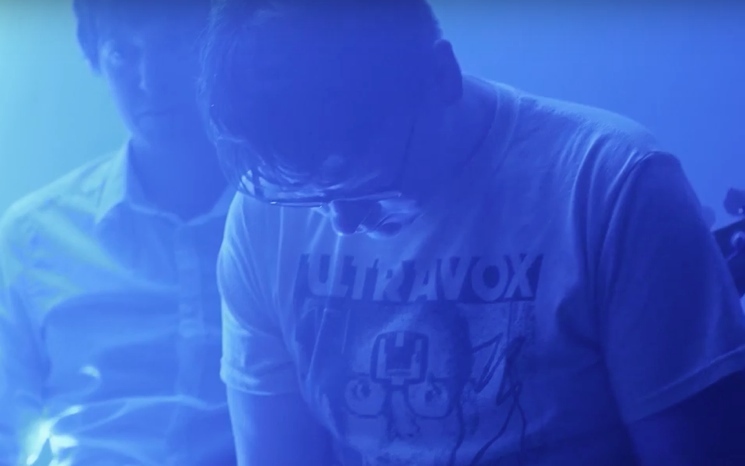 While you guess what their next LP will sound like, enjoy the two recent performances below and catch them in Toronto on June 4 with Big Brave at Soybomb.